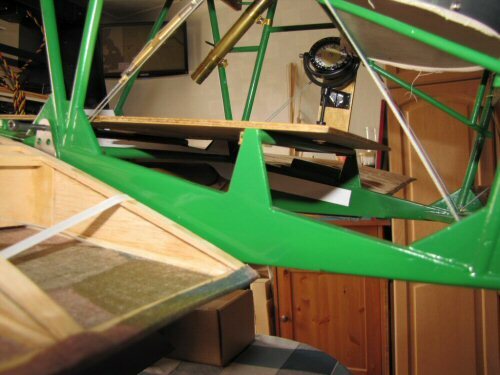 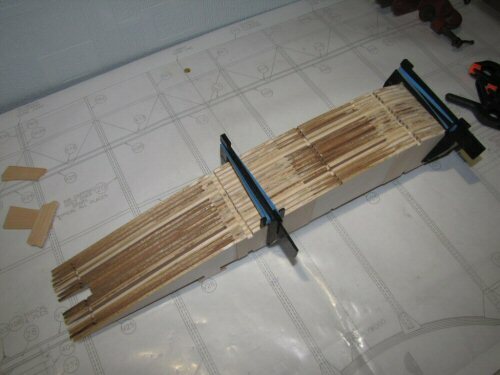 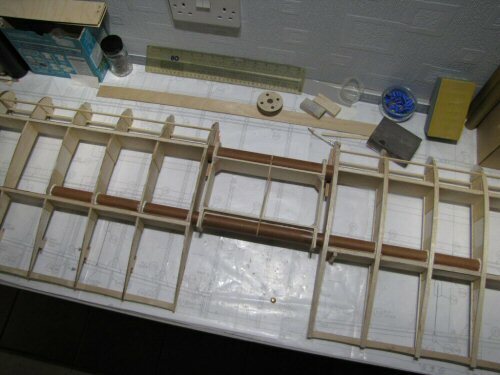 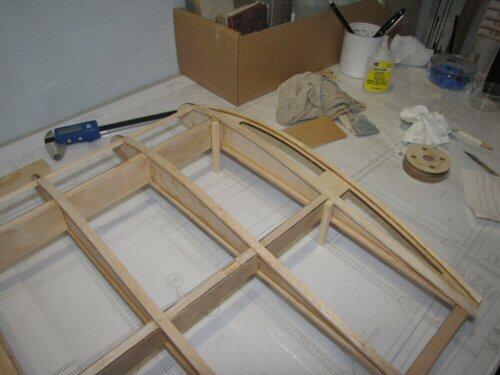 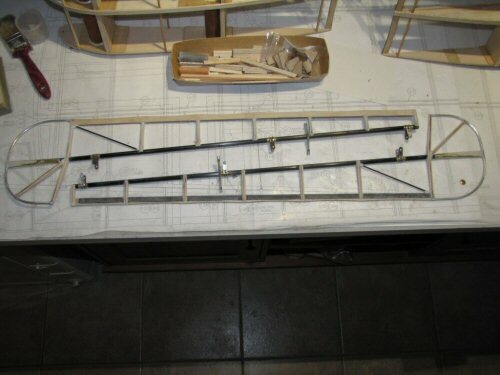 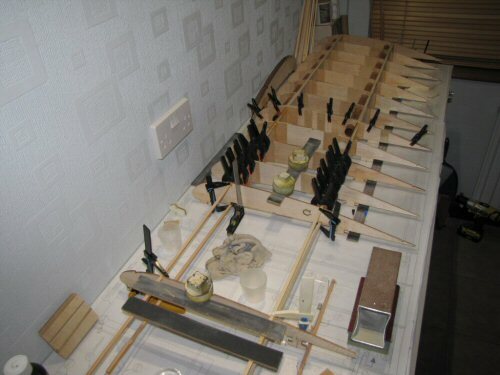 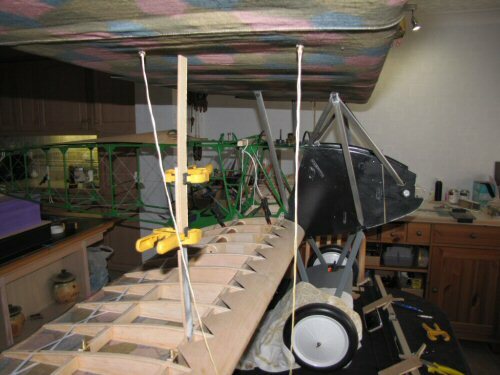 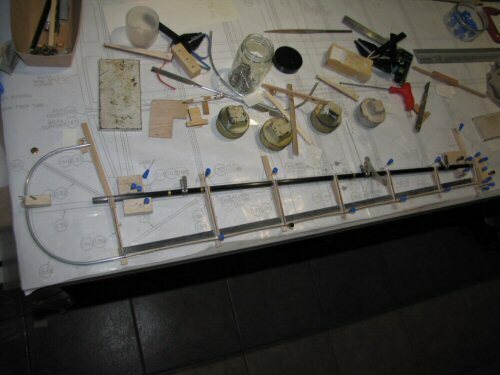 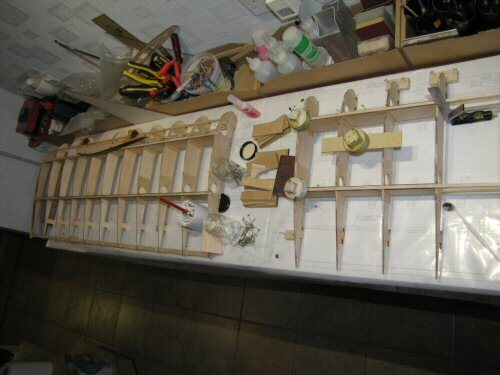 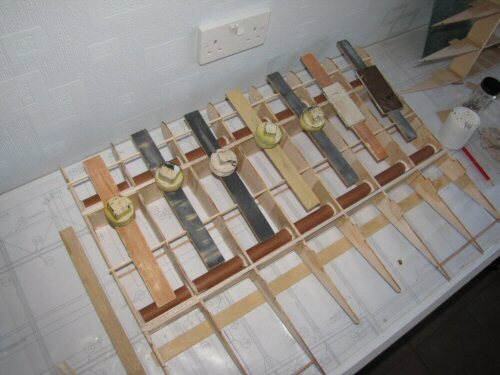 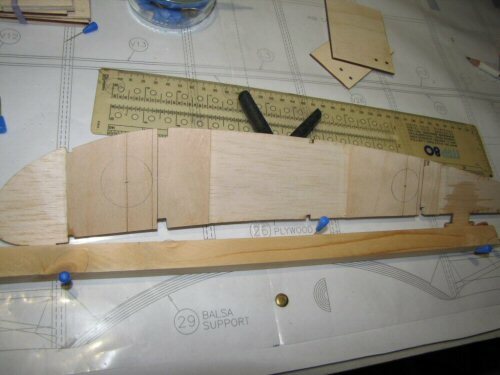 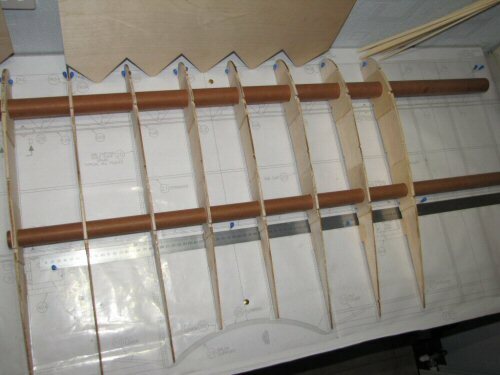 Glenn Torrance 1/3 Scale Fokker D.VII Wing Construction The wings for the D.VII have a 3M span (top wing) which is a rather large object to transport. 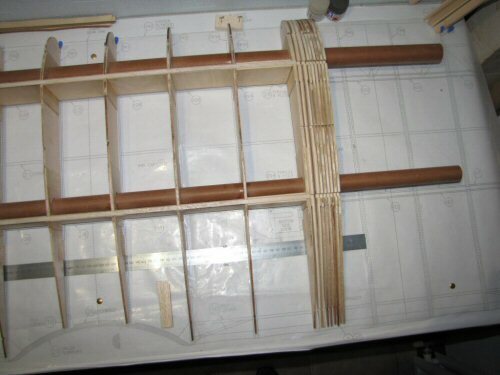 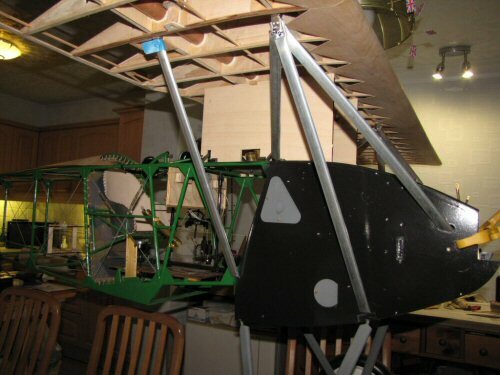 I have therefore decided to split the top and bottom wings to make transportation and hopefully speed up field assembly. 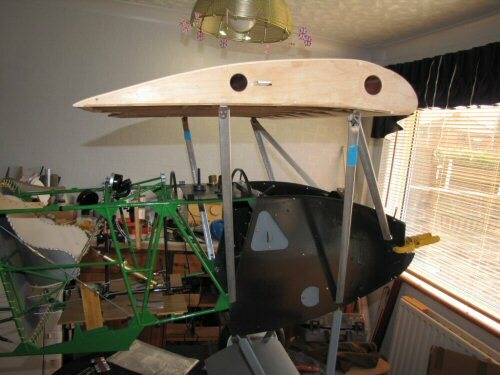 In discussion with my LMA inspector about this I have agreed to build in 2 tubes to each wing with a 30mm tube forward and 25mm to the rear. 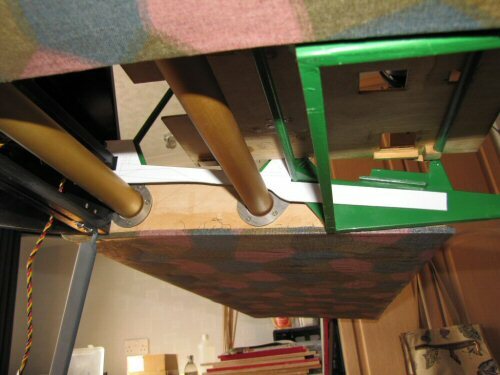 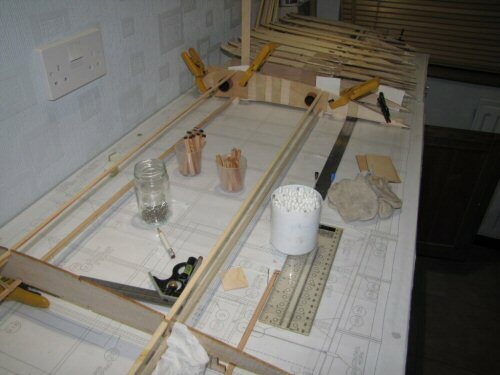 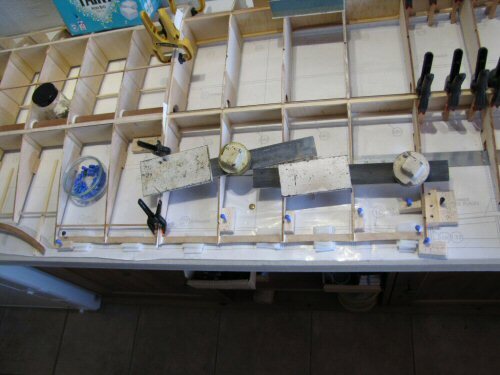 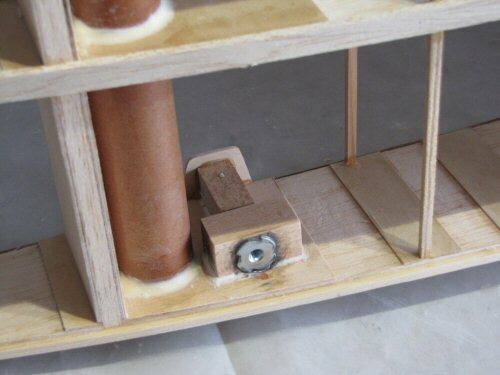 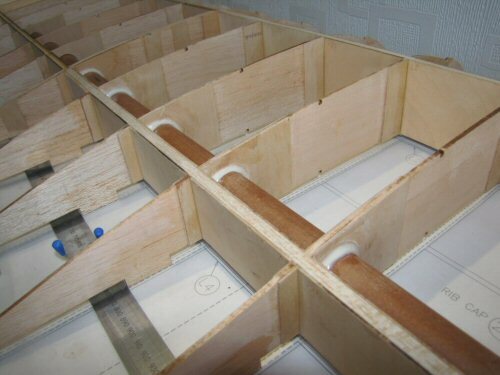 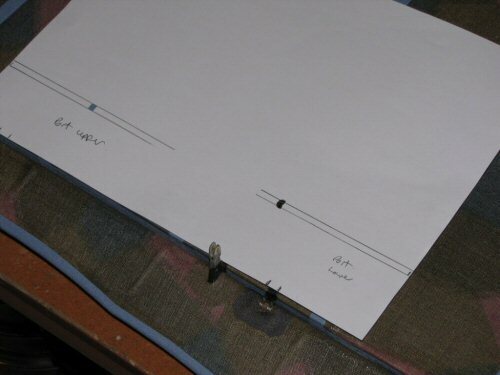 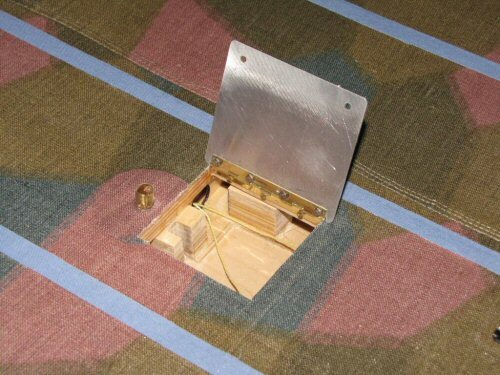 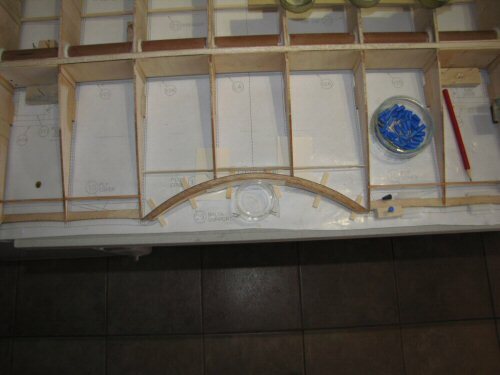 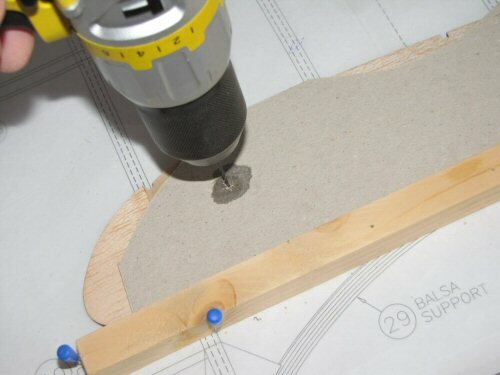 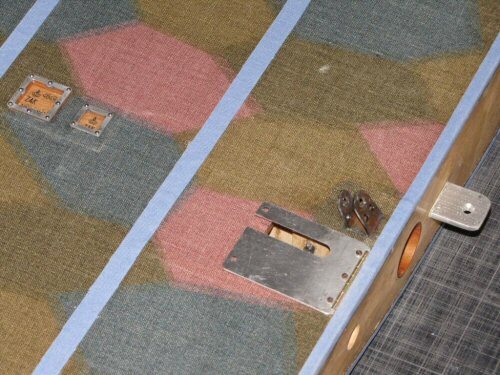 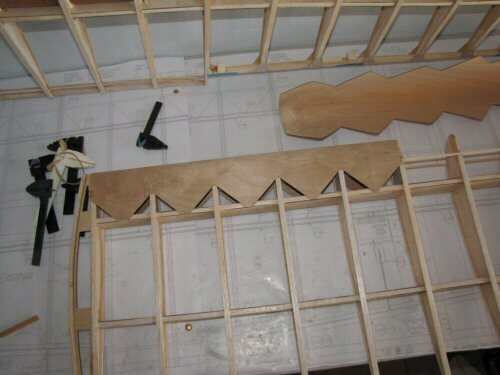 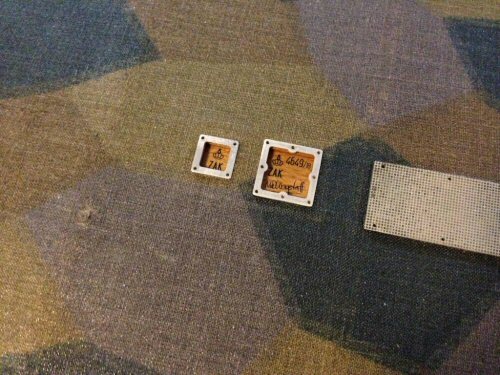 An amount of reinforcement with 1/16" and 1/32" ply was also agreed in various locations. 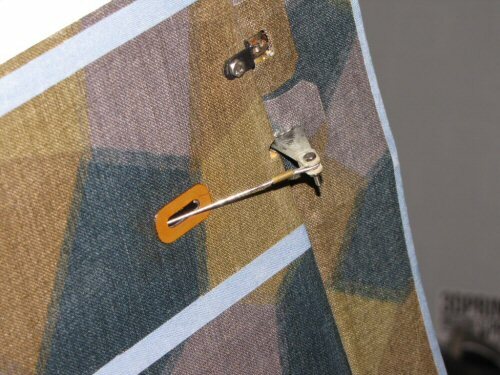 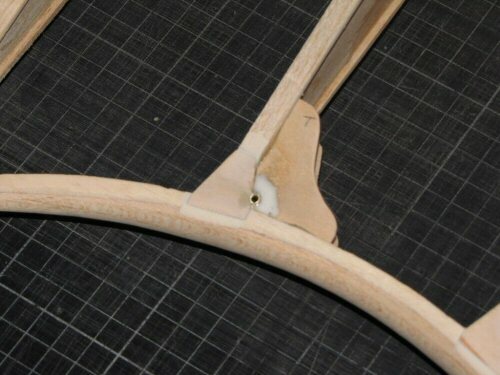 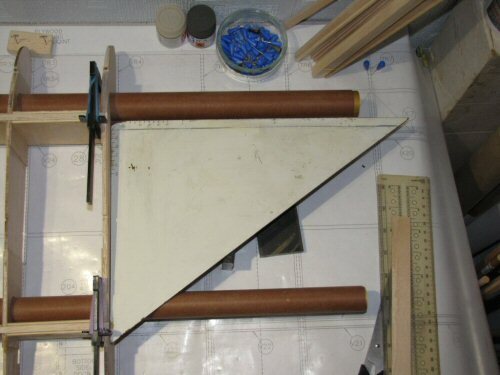 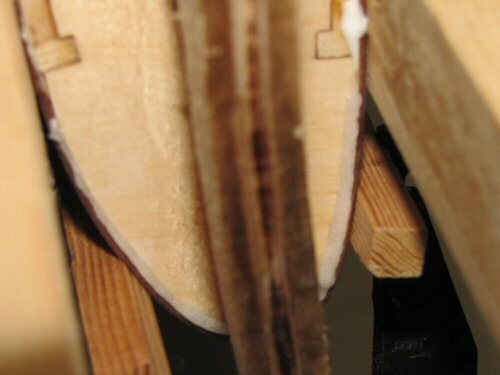 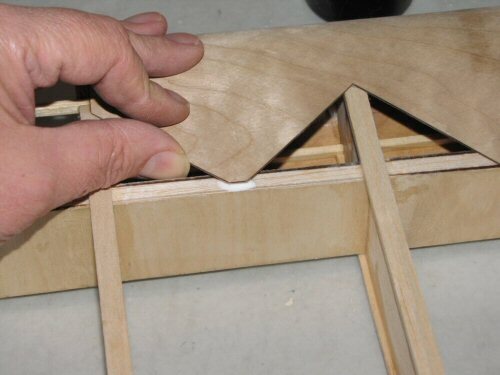 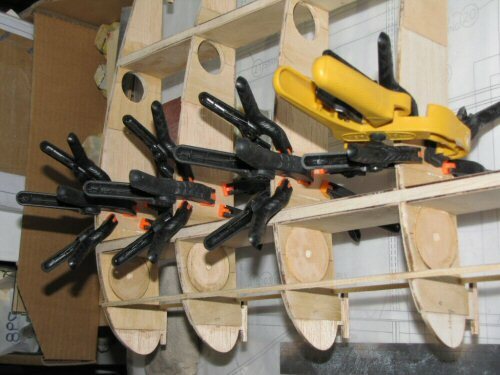 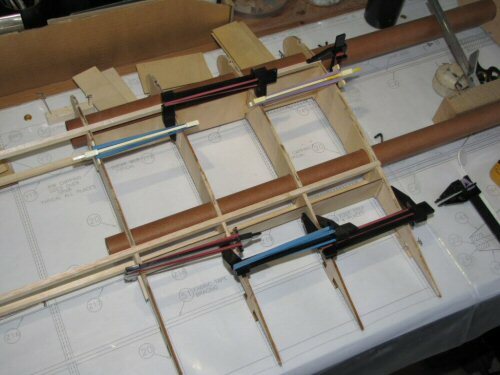 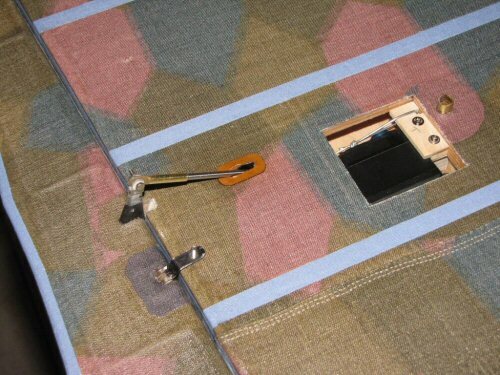 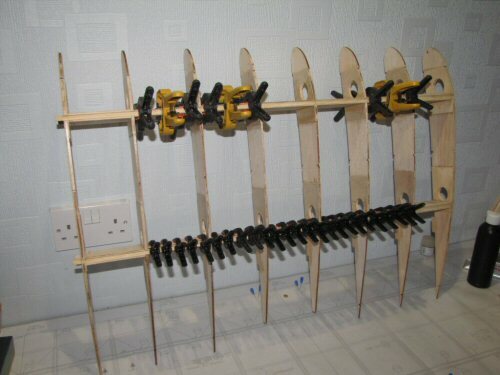 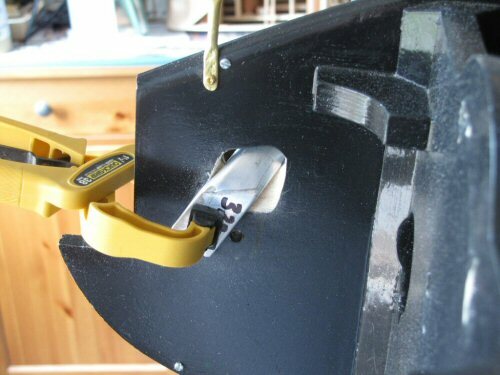 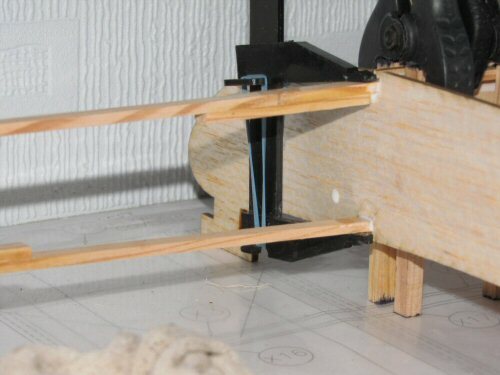 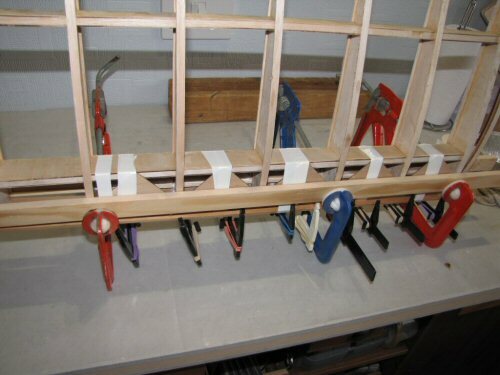 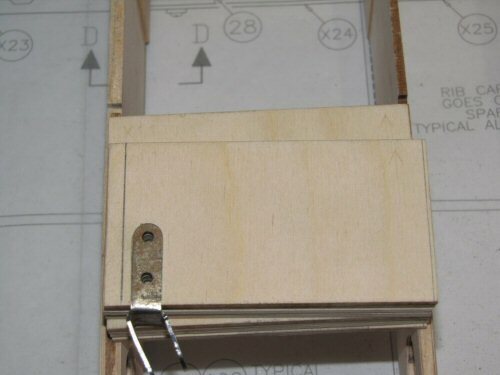 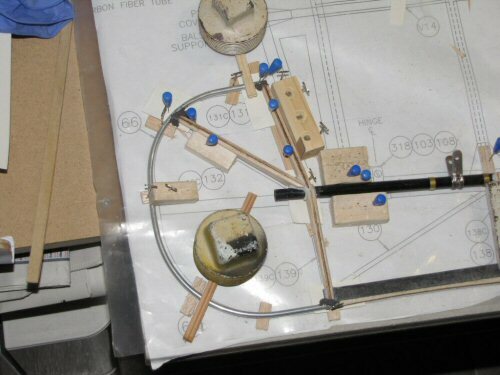 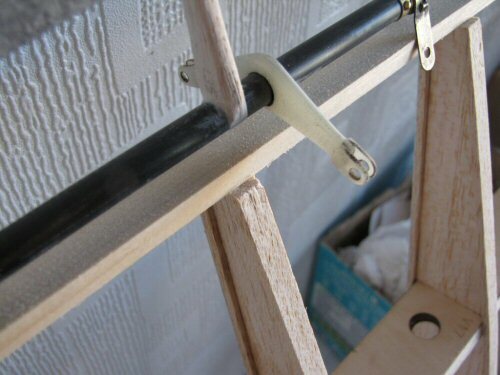 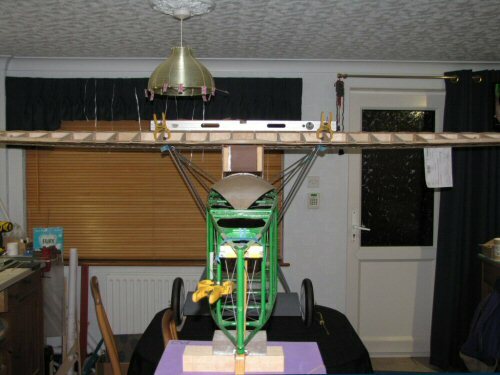 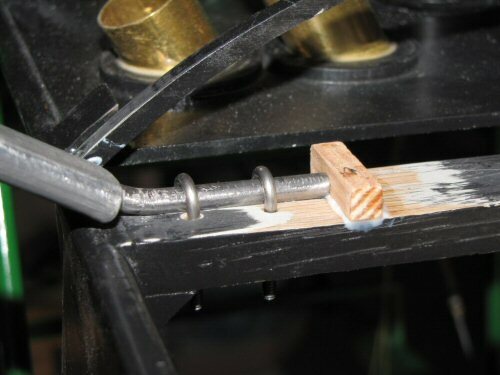 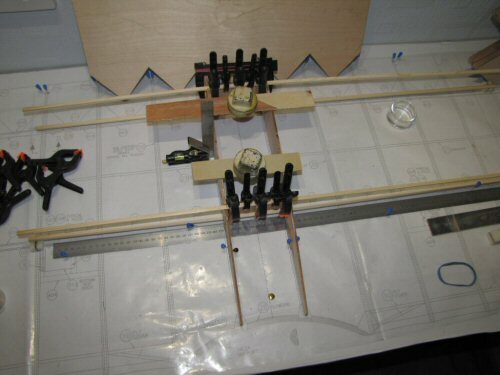 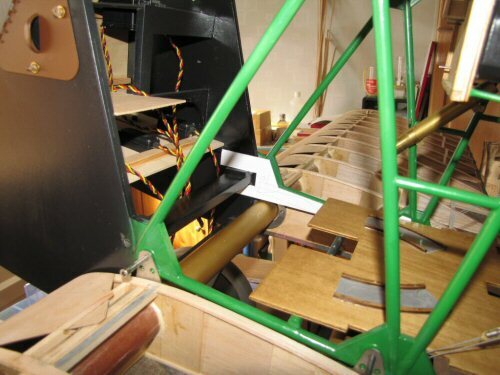 The top wing will split outside the cabane struts so it's a simple matter of connecting the Servo and then securing the wing. 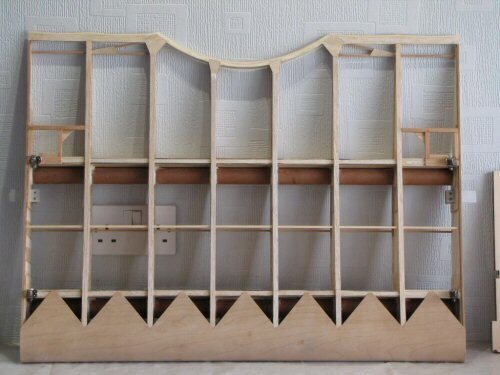 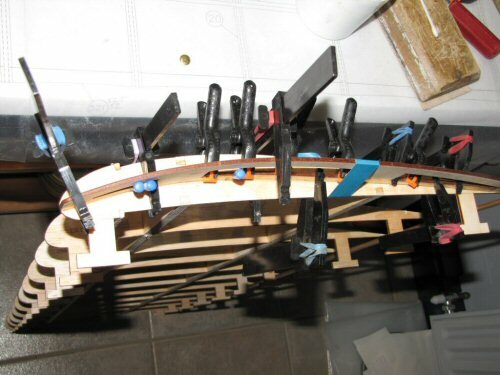 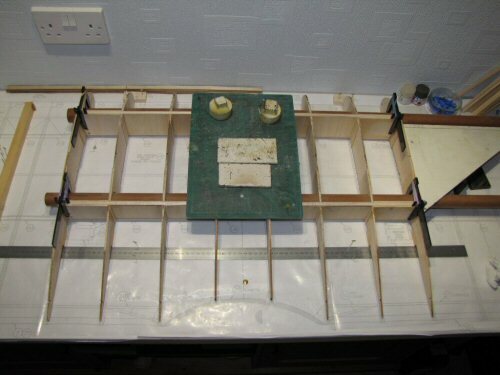 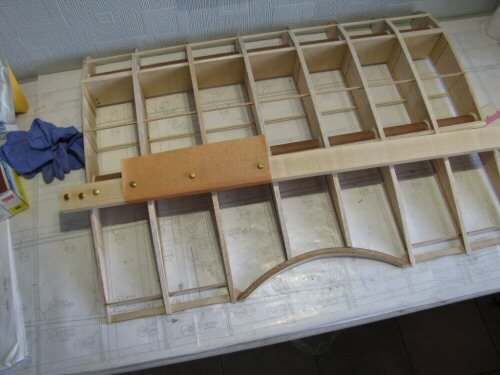 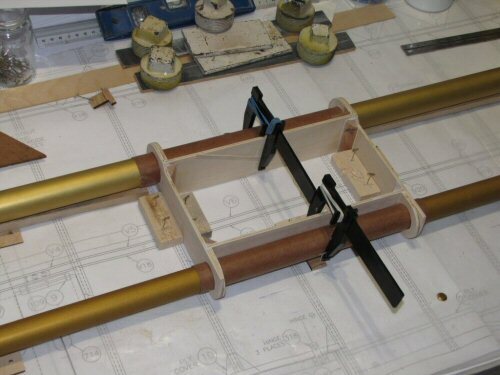 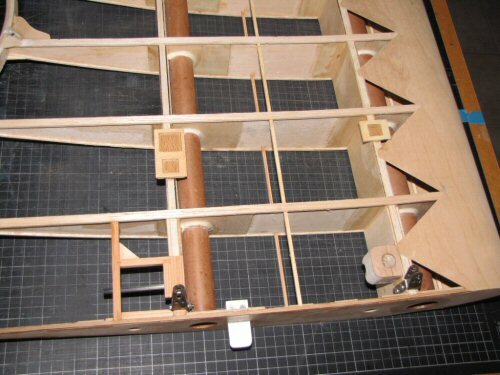 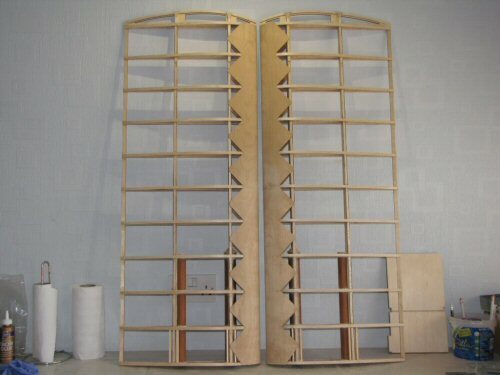 Similarly, the lower wing will have a centre box frame made which will hold the tubes and secure the wings from each side to the scale location fixings on the fuselage. 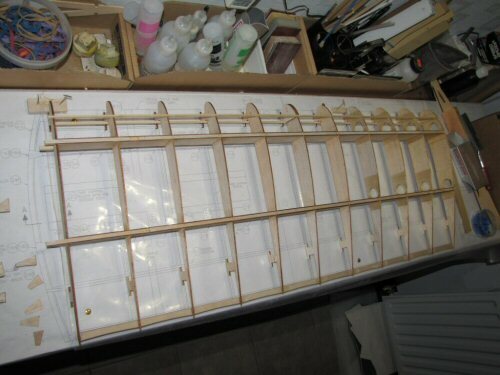 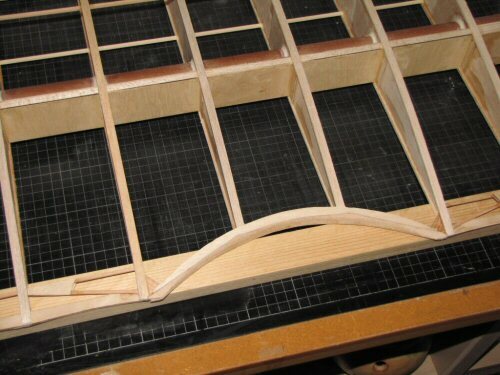 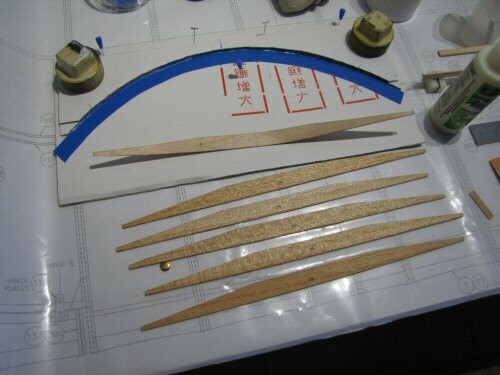 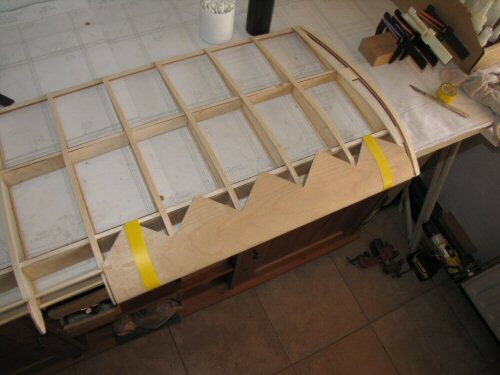 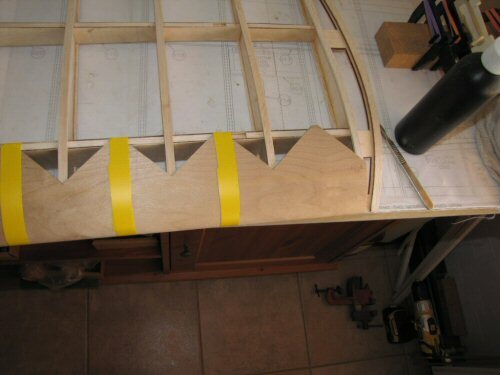 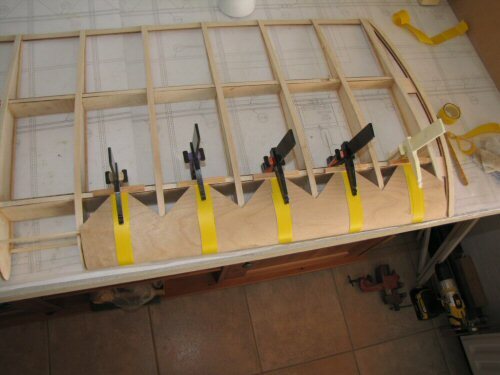 So let's get started with the lower wing! 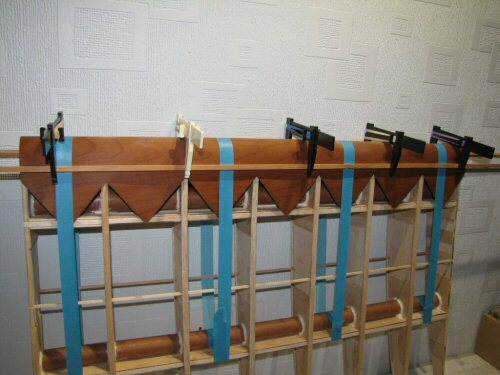 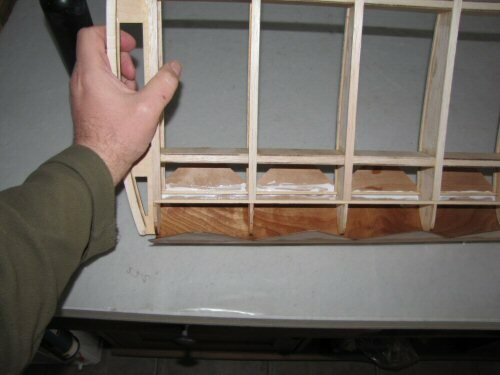 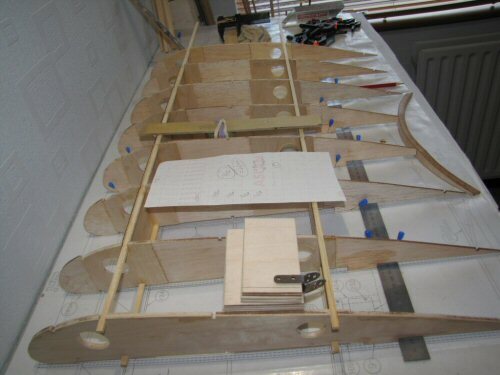 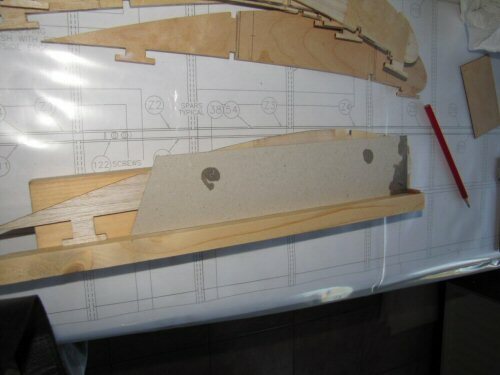 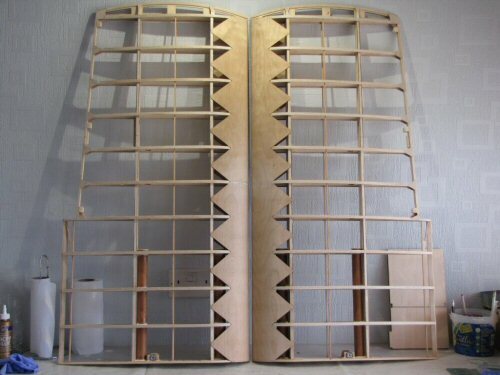 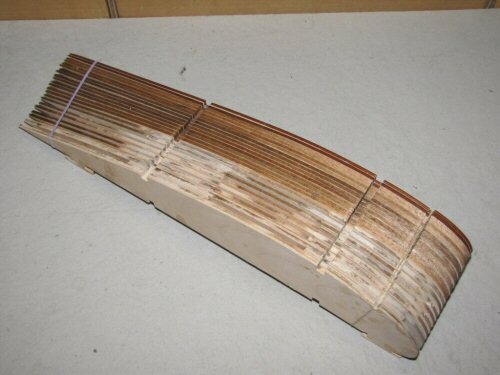 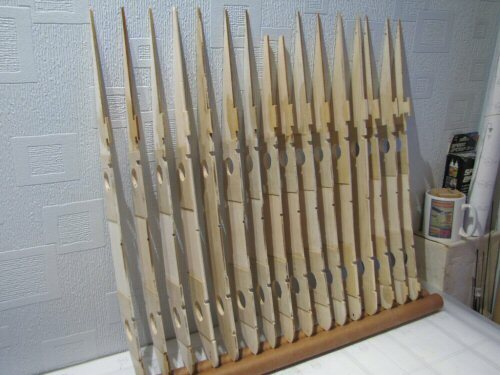 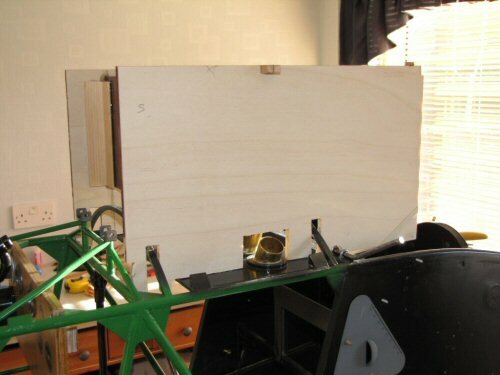 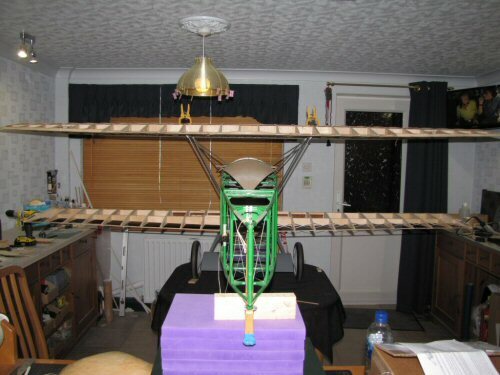 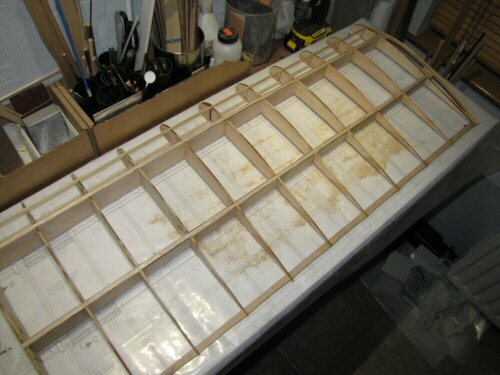 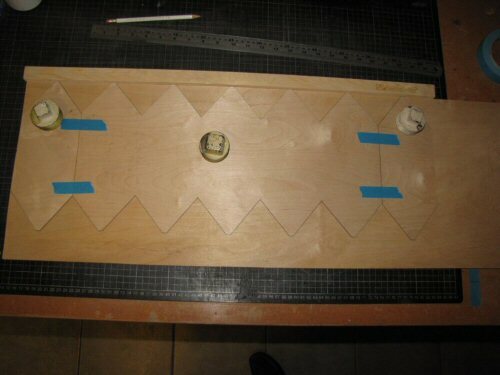 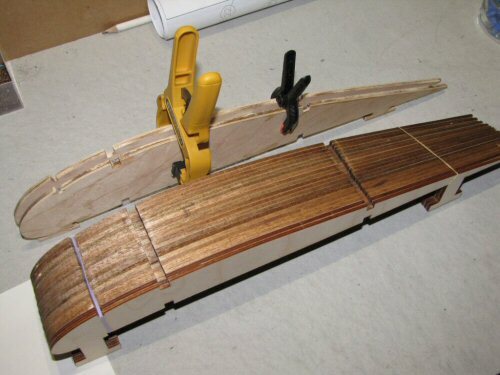 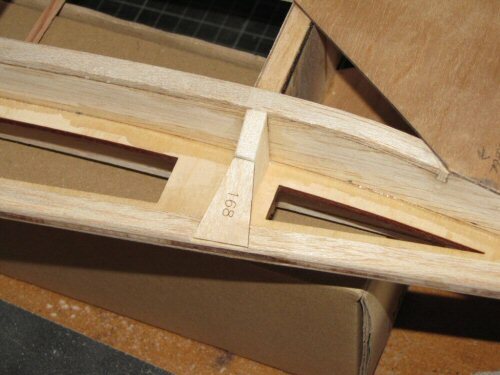 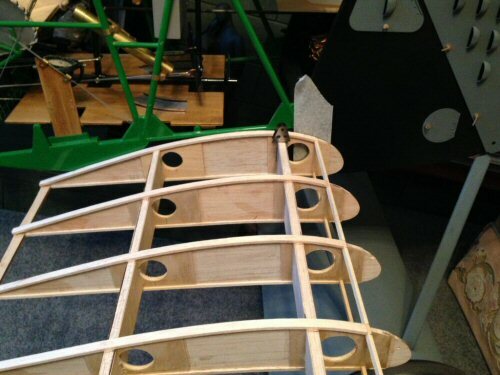 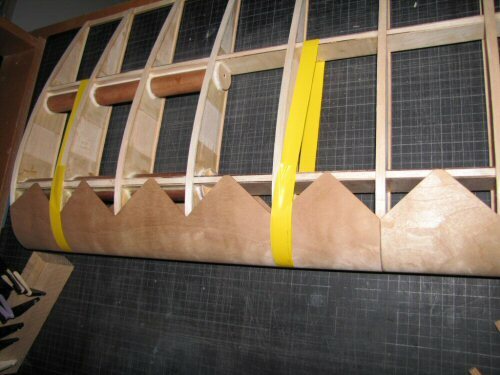 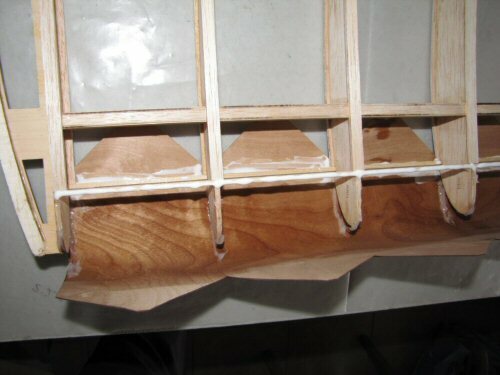 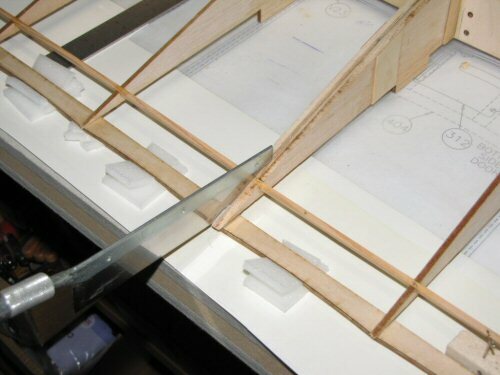 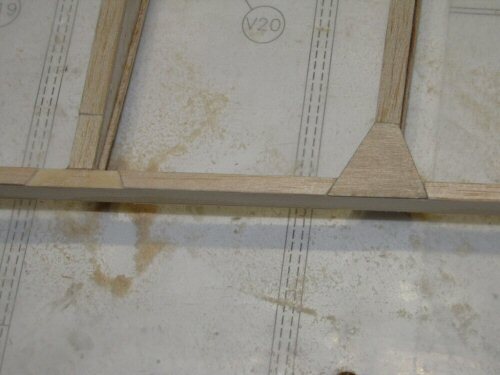 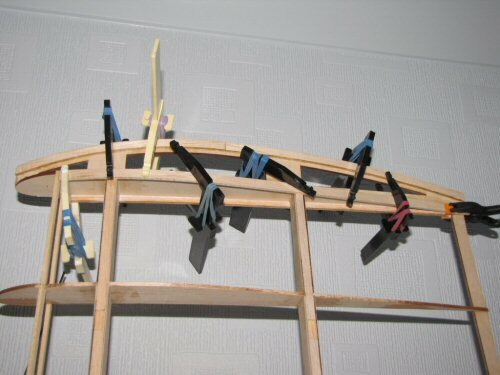 As supplied the lower wing has 2 wing panels and a centre bridge section holding the 2 panels together. 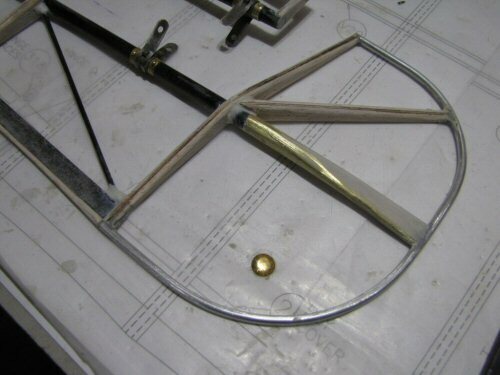 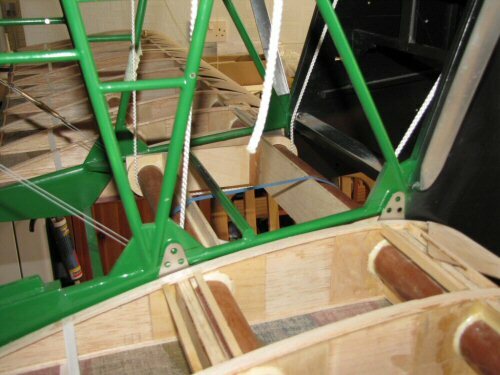 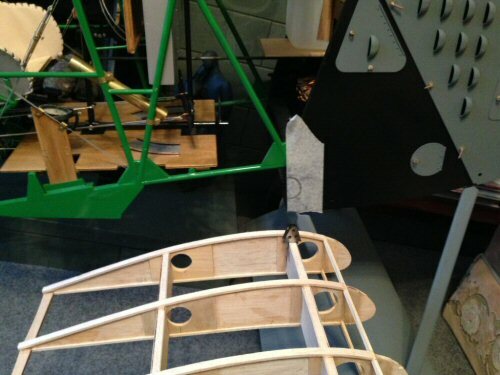 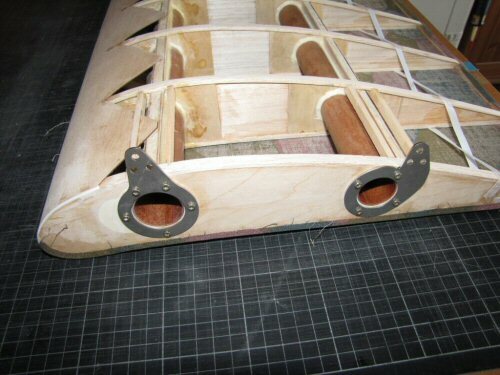 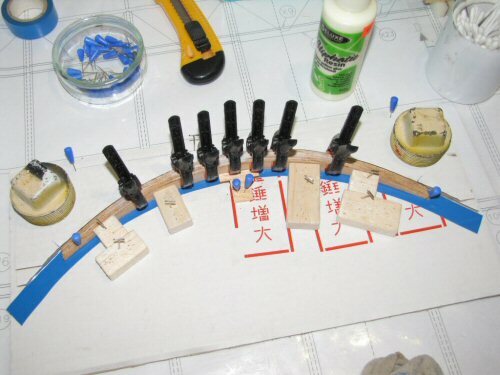 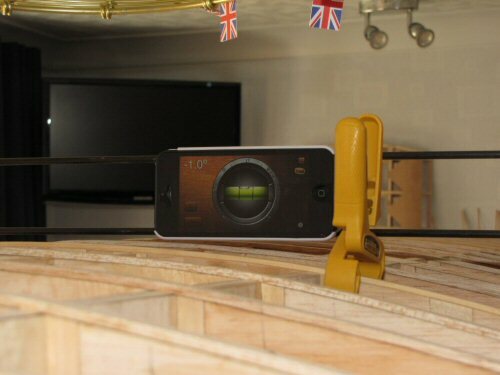 The centre section has 4 steel "U" like brackets fixing the wing to fuselage in pre-drilled gussets. 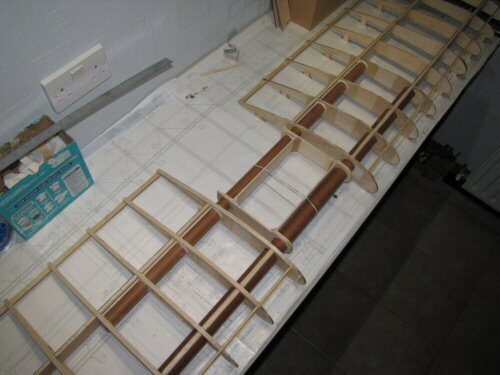 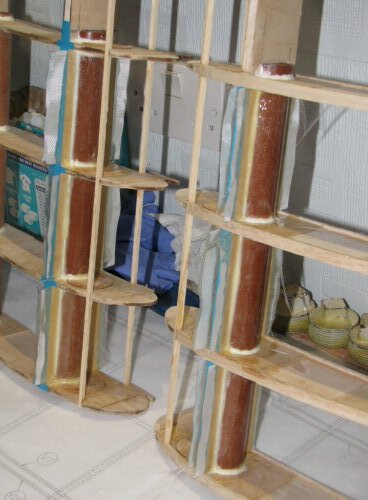 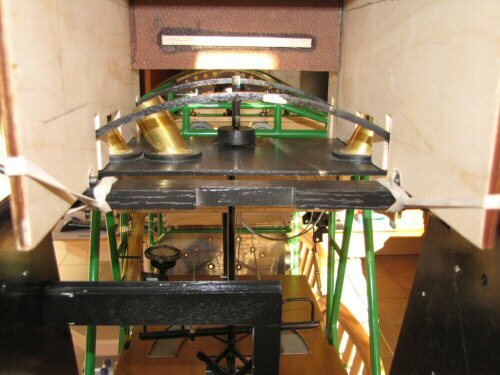 Adding the tubes means the centre section needs re-thinking as the steelwork with the kit needs to go where a tube will now be located. 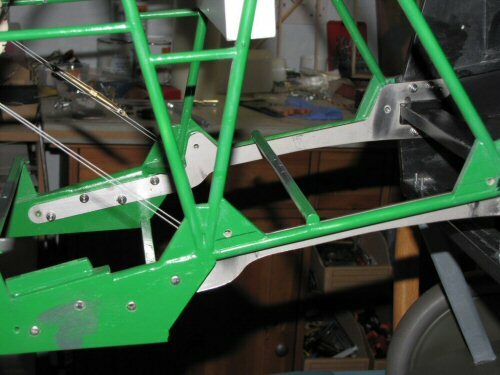 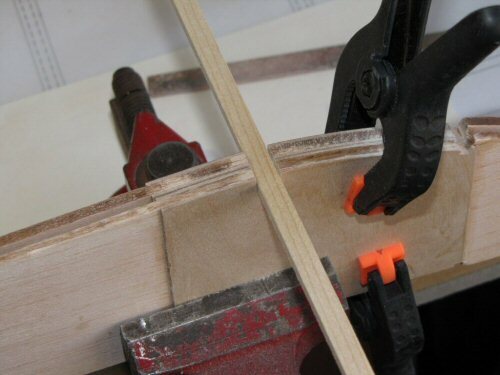 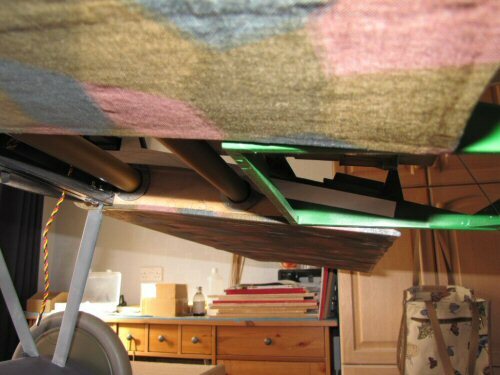 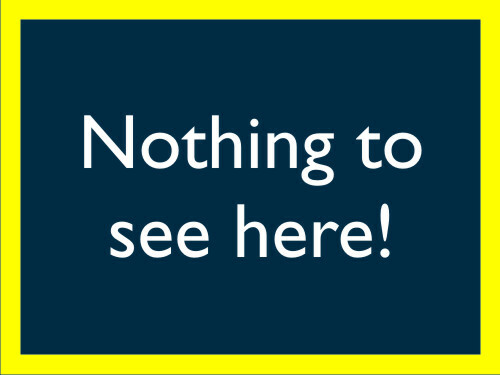 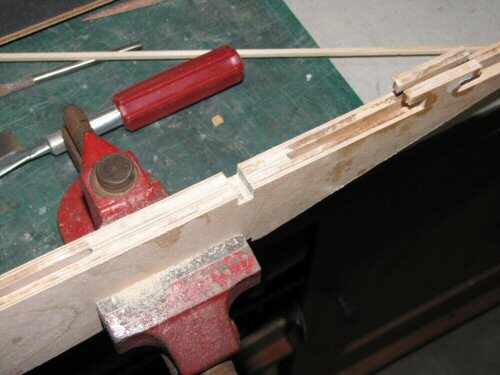 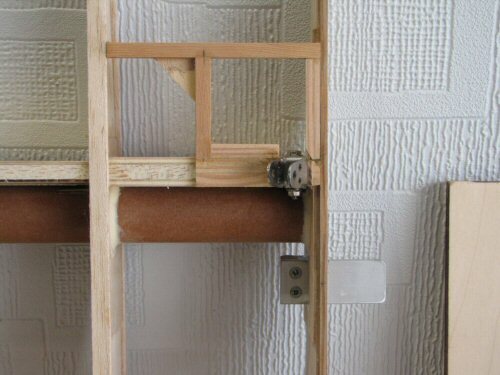 This will therefore require new brackets to be fabricated. 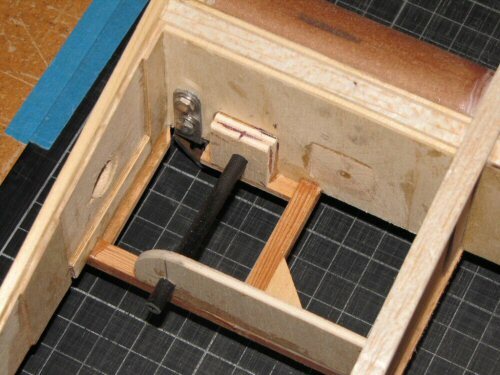 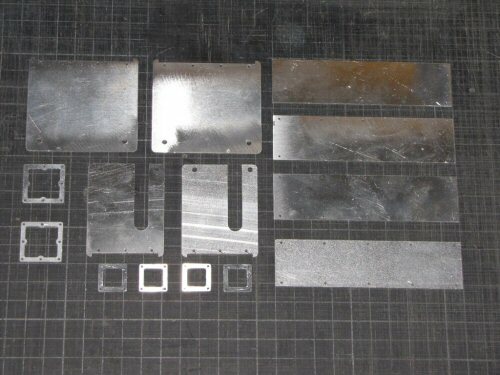 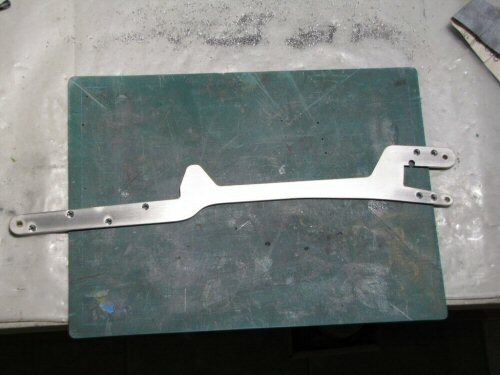 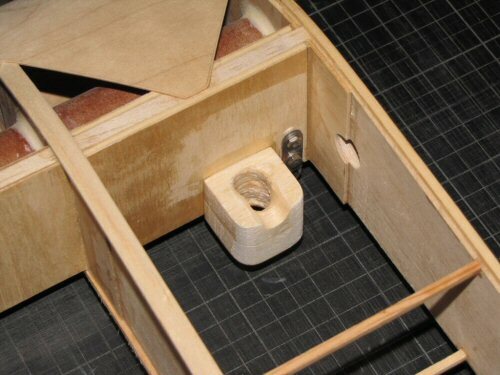 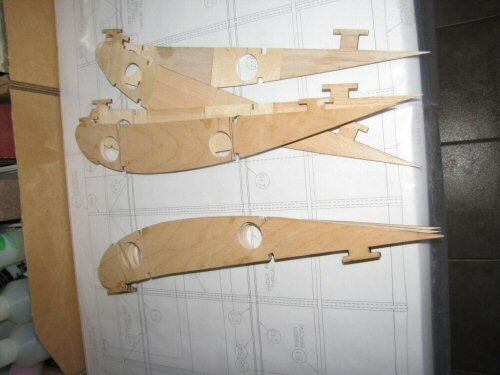 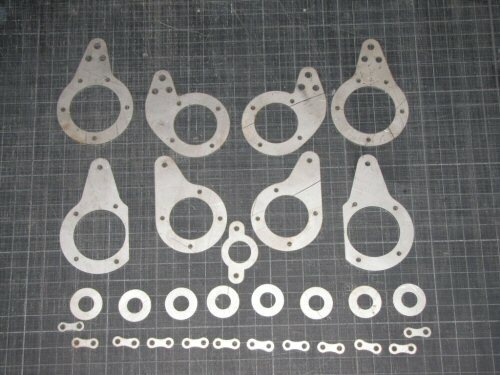 The plan will be for the scale fixing points to be used as per the GTM kit but with altered brackets. 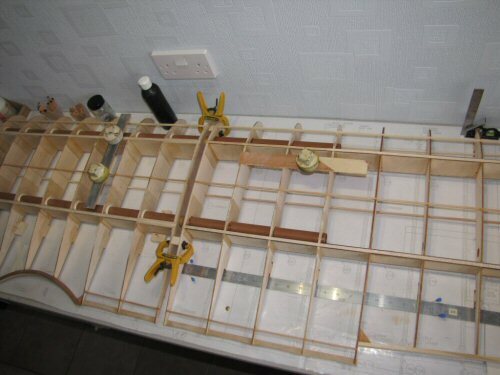 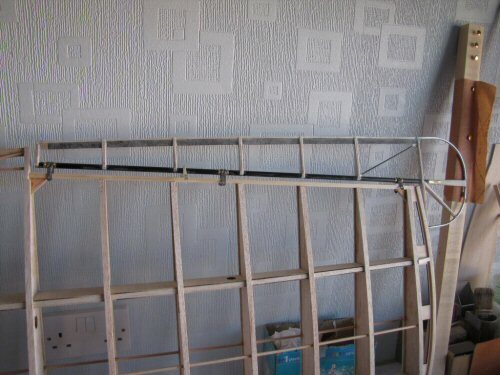 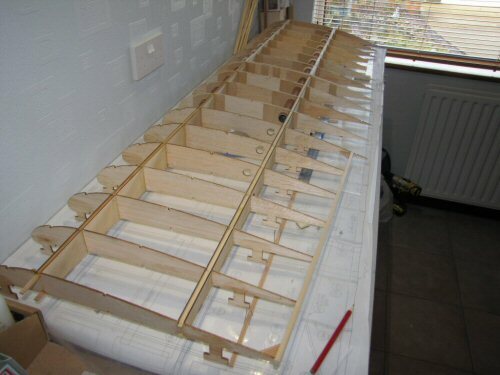 So the lower wing will have 3 sections with the bridge section sat in the fuselage permanently which will hold the wing tubes and provide a fixing point for the 2 wing panels to fix to. 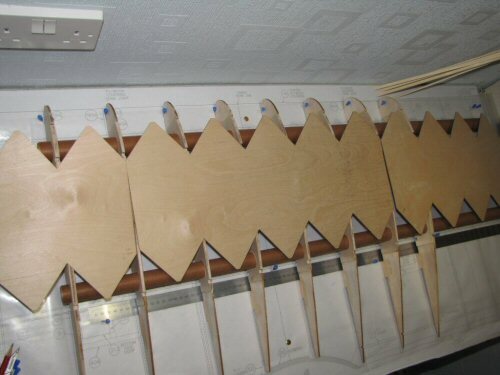 Once tightened up they will become rigid and appear scale.